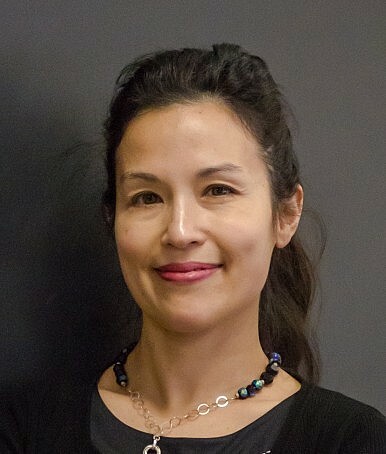 Sara Hsu is an Assistant Professor of Economics at the State University of New York at New Paltz and Research Director at the Asia Financial Risk Think Tank in Hong Kong. Dr. Hsu specializes in Chinese economic development, informal finance, and shadow banking. She has published one of the only English-language books on the topic of Chinese informal finance, Informal Finance in China: American and Chinese Perspectives, as well as one of the only Chinese-language books on Chinese shadow banking. She has also published a number of articles and books on the topics of sustainable development, financial crises, and trade. Prior to working at the State University of New York at New Paltz, Dr. Hsu was a Visiting Professor at Trinity University in San Antonio, Texas, and an Adjunct Professor at the University of Texas at San Antonio and St. Edward’s University in Austin, Texas. She has also worked in the dot-com industry in New York. Sara Hsu earned her PhD from the University of Utah and her BA from Wellesley College. Fincera Chairman Yonghui Li on thriving despite China’s P2P industry turbulence. The government issues a statement that appears to crack down on dormant firms. Can China balance patient affordability with sustainable service provision? The controversial company is switching to robots, boding ill for China’s labor market. Activity in the peer-to-peer lending sector has surged at times, despite issues controlling risk. What Does ‘L-Shaped’ Growth Imply for China? An unnamed official gives some hints about the official projection for China’s economy. The country’s well-functioning auto sector is a bright spot in an otherwise slowing economy. Beijing needs to rethink its trade policies. Is China’s Great Firewall a Trade Barrier? The Office of the U.S. Trade Representative thinks so. Any Luxe Left for China? The corruption crackdown has had repercussions for China’s luxury goods industry. The bloviating Republican frontrunner threatens to derail bilateral relations. Authorities face a choice of maintaining control or continuing to unleash market forces. Will China’s State-Owned Enterprise Reform Go Far Enough? In attempting reform while maintaining control, authorities are trying to have it both ways. Authorities unveil a leaner and more targeted budget. From clamping down on media to finding scapegoats, Beijing is trying everything to reassert control over the economy. A Threat to China’s Debt Ratings? How big a deal is China’s growing leverage? At least one major policy goal is being met. For now, perhaps, but the longer term looks increasingly challenging. China’s Relations With Iran: A Threat to the West? Trade between the two countries is set to explode. What to make of the recent outflows and regulators’ efforts to contain them? Authorities are putting green development front and center. Will China's new financial monitoring system be enough? It seems likely that China’s central bank will reduce its grip on the U.S. dollar.